Hours after a Dallas jury returned its $500 million verdict for ZeniMax over claims that Facebook and Oculus unfairly used its virtual reality coding, the creator of that code, John Carmack, took to social media to continue his defense. Carmack, the legendary co-founder of id Software and lead programmer for some of the industry’s best-known games, hotly disputed the jury’s finding that Oculus developed its innovative virtual reality headsets with help from “non-literal” copies of code that Carmack had written while employed by ZeniMax. 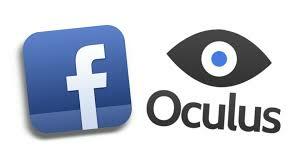 He was accused of taking the code with him when he departed to Oculus, a Facebook subsidiary. “This is just not true,” Carmack wrote in a Facebook post as Facebook and Oculus promised an appeal, and ZeniMax threatened to seek an injunction on future Oculus headset sales. While the lawsuit is understandably layered with nuance and complexity, Carmack’s story offers yet another reminder for executives and innovators who leave their jobs for competitors. Carmack’s personal and professional reputation and the Facebook/Oculus defense were seriously damaged by findings that Carmack had taken data with him on a USB drive after he left ZeniMax. In addition, jurors heard testimony that Carmack wiped his hard drive shortly after being served with the lawsuit and that he had even Googled a query seeking instructions for how to clear a hard drive. For passionate and highly driven minds like Carmack, it’s not hard to understand the urge to take work with them when they leave. It’s human nature to view personal devotion and long hours spent at work as an extension of one’s identity. In fact, unless they have legal advice or are knowledgeable about the law, most people take too much with them when they leave their jobs. As Carmack’s case illustrates, that can be a big problem if someone decides to file a lawsuit. This case is far from over, and all eyes are now on the post-trial proceedings and the likelihood that ZeniMax will obtain an injunction on future Oculus Rift headset sales. Gaming industry publication Polygon.com has been closely covering this litigation. Read Polygon’s recent coverage here, which includes an interview with Joe Ahmad, AZA founding partner and author of the blog, Legal Issues in the Executive Suite. This entry was posted in Complaints Against Executives, Confidential Information, Executive contracts, Litigation, Non-Competes, Trade Secrets and tagged covenant not to compete, executive, executive contracts, executive employment, Facebook, Joe Ahmad, Joseph Ahmad, non-compete agreements, Oculus, trade secret. Bookmark the permalink.